You don’t have to install them, just extract them to separate folders. 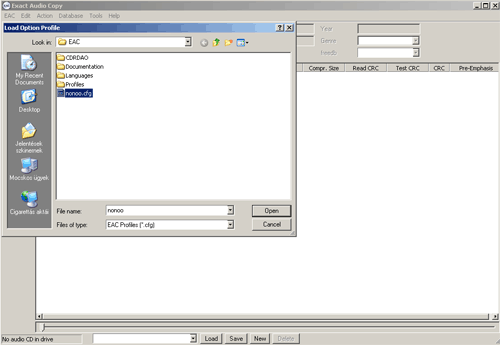 Put flac.exe to a dir what is in the PATH, for ex. c:\windows. Why you should use EAC? The original audio CD specification lacks a few features because they wanted more space to be available on the discs for audio. 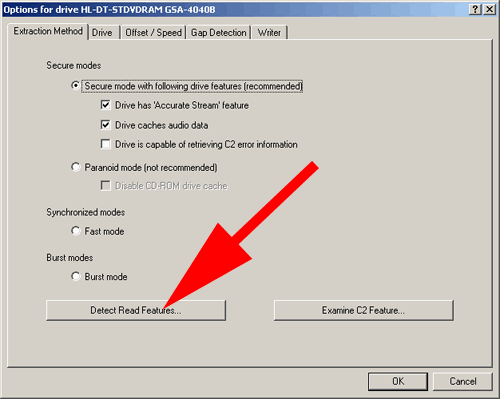 So for example there is only simplified error protection in comparison to data CDs, and there’s no accurate block addressing, so when the drive seeks, it may start reading in the middle of a block, which causes a clicking noise. That’s jitter. Other grabbers only do jitter correction and don’t detect and log occasional distortions caused by the scratches on the disc. 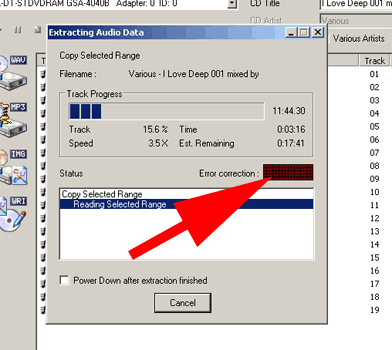 EAC sets the CD-ROM’s built-in error correction mechanism to the lowest level and instead of using that, it reads erroneous blocks again and again, and tries not to return with interpolated audio samples generated by the built-in error correction. So if we grab a non-scratched CD with EAC, we can be sure that we will have the exact same audio that the mastering engineer had in his/her studio. 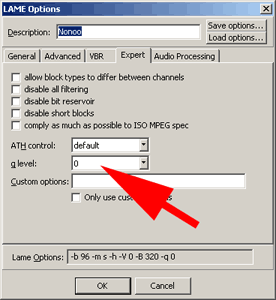 We’ll set EAC to save audio in FLAC format. 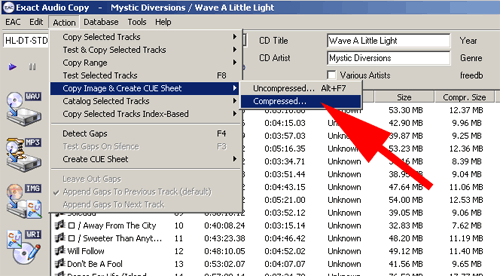 If you want to convert FLACs to MP3s, there’s a description at the end of this howto. Look for your CD drive under DVD/CD-ROM drives, or optical drives. The arrow on the picture points at my CD drive. Note down the type of the CD drive (for ex. 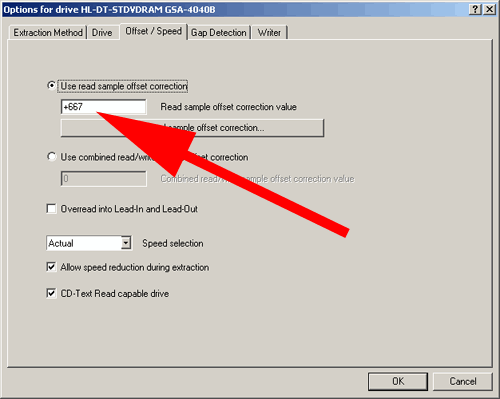 mine is GSA-4040b), then look for the “correction offset” value for your drive on this list. You can see that my CD drive has the correction offset of +667, your drive’s may be different, if it’s not the same type. Ignore that if your drive is for ex. GSA-4040b and there is only GSA-4040 on the list. If you got the value, you can close this window and go back to EAC. 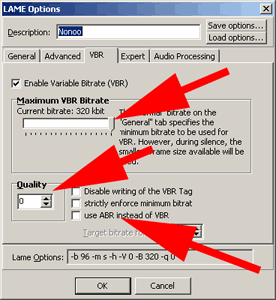 Press F10 and set the previously found offset value at the editbox marked by the arrow (Offset / Speed tab). 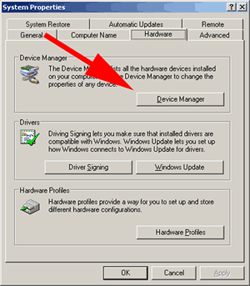 Close the window by clicking OK, and now you’re done with the setup. 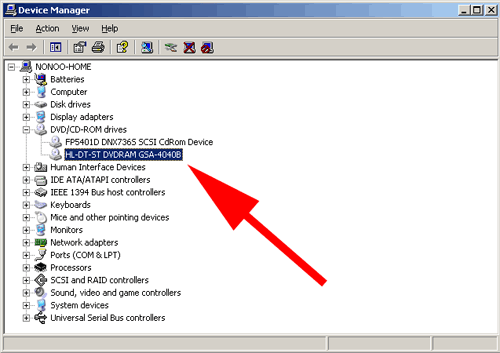 You can save these settings to a separate config file if you want (EAC menu, Profiles, Save Profile…). If not, set it to High for now, then close the window by clicking OK.
You copy the whole image with a CUE file: you should always choose this. 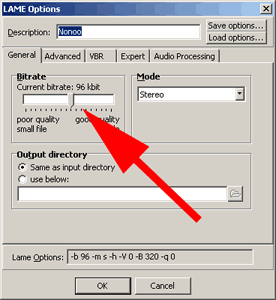 It’s simpler to split up a big file (with this program, it will ask for an email upon downloading, but you don’t have to enter anything) than to join separate smaller FLAC files. 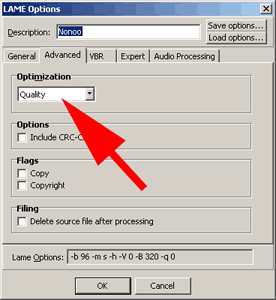 Save the tracks to separate FLAC files: only choose this if there are no fades between tracks, otherwise use the former method. If there’s a scratch or other error on the CD, the bar marked on the image starts to fill up with red squares (as many red squares will light up as many times EAC has to reread a section). Generally there’s no problem until all of the red squares light up. That means EAC was unable to correct the error and probably the saved audio will be erroneous at the given position (this pos will be marked in the log). If your dark square matrix is smaller than the one on the picture, your Error correction level is not set to High. You should always set it to High (more on this in the Troubleshooting section). Always check the .log file after copying and listen to the audio at the marked positions, to be sure that there’s no error in the sound! The final result is a .cue, one (or more, if you saved the CD into separate FLAC files) .flac, and a .log file. Those are all required, so don’t delete anything. If it doesn’t play after all, it could be that your player doesn’t support .cue or .flac files. Use this. The copying of a scratchy CD can be as long as 5 or 6 hours, so be patient. Always wait till the end of the process! If it won’t finish after 6 hours, stop it, press F9 and set Error recovery quality from High to Medium, or from Medium to Low, then start the process again. 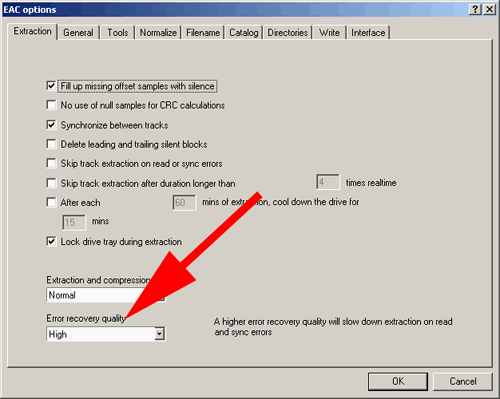 Don’t forget to set Error recovery quality back to High before you start to grab another CD! Anyway you should polish the CD either at a CD polishing shop or at a car cleaner or glazer. If you copied the CD into separate .flac files, you have to compress every track one by one. If this still doesn’t work, then there is no flac.exe in the PATH. Copy flac.exe to c:\windows, or to the dir where your .wav files are. 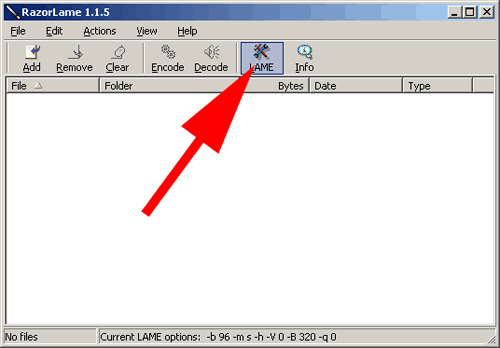 We’re using LAME compressor with the razorLAME frontend for MP3 conversion, making 320kbps VBR (V0) MP3s. After this you can close the settings window by clicking OK. 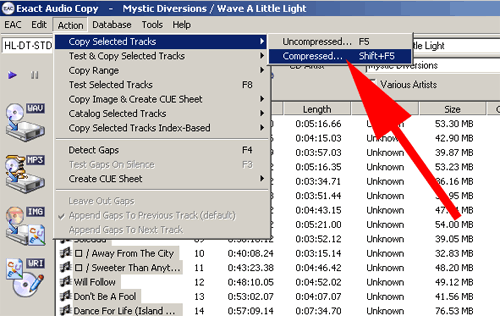 Drag & drop the .wav files you want to compress to the Razorlame window, then click on the Encode button on the toolbar. You can delete the .wav files after compressing. Copy the mp3 file(s), the .log and the .cue file to the final directory.